Many colleagues, political pundits and administrators grapple with the issue of providing adequate education to this nation’s most vulnerable and underserved citizens: children of color. But while some of us desire to empower and liberate this demographic through education and prepare future generations of leaders and problem-solvers, others have a more nefarious agenda. This agenda disguises itself behind noble-sounding platitudes like “No Child Left Behind,” and “Closing the Achievement Gap.” Its proponents are conservative and liberal politicians, think tanks, business leaders, educational scholars, and school leaders. Some have malicious intentions, and others have adopted policies without truly understanding the implications or negative intent. The social control of Black people via education is not new. In fact we can trace its roots to the turn of the 20th Century, when America was on its way to becoming an industrial power, and Black people were only 4 decades removed from chattel slavery. James Anderson in his book, The Education of Blacks in the South, chronicles how white liberal reformers, business people and white supremacists alike, participated in a great debate around the question of whether Blacks should receive education and what the scope and objectives of that education should be. These groups held a series of educational conferences to debate these matters. The Capon Springs Conference for Christian Education in the South, convened in 1898 in West Virginia and met two more times in 1899 and 1900. From these proceedings the Southern Education Board and General Education Board formed. Oil tycoon John D. Rockefeller (who enthusiastically funded the eugenics movement and Hitler’s Nazi movement) founded the latter board which like its southern counterpart sought to advocate for public education with a special role for Black people. You will soon see that while some participants were more malicious than others, ALL of them viewed Blacks as inferior to some degree, and ALL of them saw education as a means to control Black labor and constrain Black political empowerment. When you control a man’s thinking you do not have to worry about his actions. You do not have to tell him not to stand here or go yonder. He will find his ‘proper place’ and will stay in it. You do not need to send him to the back door. He will go without being told. In fact, if there is no back door, he will cut one for his special benefit. His education makes it necessary. During the 19th century Horace Mann, long considered the “Father of American public education” and a strong opponent of African enslavement, advocated a free public education for all citizens. He saw education as an egalitarian means of providing a common and unifying experience for all children. A solid public education would serve to empower and equip citizens regardless of race, religion or origin. However by the 20th century, corporate barons abandoned his noble vision, choosing instead to use education in hegemonic fashion to maintain and strengthen societal hierarchy. From 1868-1915, the northern businessmen and southern liberal school reformers therefore became strong advocates of Samuel Armstrong’s Hampton University model of education for Black people. Armstrong believed Black people were morally corrupt, unfit for leadership or political power, and in need of “civilization.” His curriculum of education for Black people reflected these negative assumptions. Hampton emphasized rigorous instruction in social etiquette, hygiene, moral instruction, menial labor and a policy of being complacent and disinterested in political and social empowerment. Armstrong was Booker T. Washington’s mentor and Washington adopted his educational policies at Tuskegee Institute. Interestingly, Anderson reports that most graduates of these institutions acquired the equivalent of a 10th grade education and received little actual instruction in skills they could leverage into work. I suggest that the social control agenda of educational reformers exposed by DuBois and Woodson is still in effect today in the 21st century. Moreover, we might view today’s educational reformers as the ideological descendants of the 20th century businessmen and liberal (though still racist) whites. In fact, many of the charter school networks we see today were founded by white conservative millionaires. 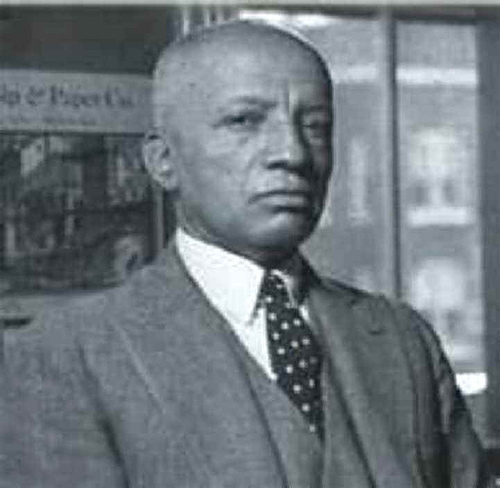 Samuel Walton, the founder of Walmart’s and Sam’s Club for example, created the Walton Family Foundation which infuses billions of dollars into school reform and public policy. But where does the center concentrate? In urban areas with majority Black and Brown people: Albany, Atlanta, Boston, Chicago, Denver, Detroit, Harlem (NY), Indianapolis, Los Angeles, Memphis, Milwaukee, Minneapolis, New Orleans, Newark (NJ), Phoenix, and Washington, D.C. Neither Sam nor his family have any background of sensitivity to people of color or poverty. Walmart’s itself is predatory, paying its workers significantly below national average, denying benefits, and maintaining a fiercely anti-union position. Carl Icahn, who has made his living buying and selling companies for profit and displacing workers in the process, also has no background in eliminating poverty or creating social justice for people of color. Yet his philanthropy has led to 7 charter schools all located in poor neighborhoods in the Bronx with Black and Brown populations. And let’s not forget the teacher-training organization, Teach For America (TFA), which I joined many years ago seeking to become a schoolteacher. This organization took advantage of the great need of school districts to have teachers in the classroom, high rates of retirement for teachers and principals, and chronically low-performing schools in urban areas. In the seventies we called this dynamic “poverty pimping.” So TFA exploits this by recruiting mostly young white college graduates, and putting them through a five-week crash course training program to be teachers. Anyone who has been through this system can tell you its overemphasis on overly punitive disciplinary measures and preparation for state tests. What many have not thought about is the white paternalism manifested by the subtle “let’s civilize the unruly savages” assumptions in such teacher programs. Many will not question why these programs target communities of color or how the vast majority of teacher recruits for students of color were not people of color, or people with even a basic understanding of and sensitivity to people of color. Charter schools themselves form a pivotal part of this social conditioning process of people of color. Often created for monetary gain and political influence, many employ inhumane disciplinary practices, rob teachers of union backing and academic freedom, and provide career growth for whites who although (sometimes) well-meaning, have little to no educational experience, have racist assumptions about Black and Brown people, and almost no significant understanding of our people. In addition, they provide almost no services for children with special needs and tend to expel them or treat them like threatening inmates. These schools receive tax payer’s dollars, in addition to private funding and little outside regulation. Because they receive public funding, they tend to drain funds that would normally go to traditional public schools, leading to mass public school closings all over the country. Their obsession with test scores and scripted teaching methods robs the joy of learning from our children, whose spirits are crushed as such schools place discipline and statistics over creating future leaders and problem-solvers. The outcomes of such educational models will be exactly what 20th century school reformers wanted: Docile, semi-skilled laborers who stay in their place and remain disconnected from the indigenous communities that produced them. This is the hidden agenda of educating our children. It comes right from the minds and pocketbooks of people who look upon us as people in need of “civilization” and who want to produce effective workers for their corporations who will not stand up or speak out against the oppression and devaluation of their people. Agyei Tyehimba is an educator, activist and author from Harlem, N.Y. Agyei is a former NYC public schoolteacher, co-founder of KAPPA Middle School 215 in the Bronx, NY, and co-author of the Essence Bestselling book, Game Over: The Rise and Transformation of a Harlem Hustler, published in 2007 by Simon & Schuster. In 2013, he wrote The Blueprint: A BSU Handbook, teaching Black student activists how to organize and protest. In April of 2014, he released Truth for our Youth: A Self-Empowerment Book for Teens. Agyei has appeared on C-Span, NY1 News, and most recently on the A&E documentary, “The Mayor of Harlem: Alberto ‘Alpo’ Martinez.” Agyei is part of the Black Power Cypher, 5 Black Nationalist men across the country who are all educators and organizers. They host a live monthly internet show discussing issues of importance to Black people. You have to ask yourself, what do I plan to do with the information given by Brother Agyei? Amen! You said it better than I could have. LOL. Thank you for reading my article, and for your enthusiasm! Thanks for reading and for the compliment. Happy holidays! I can’t imagine why there are so few comments on your excellent article. I found it somehow through Diane Ravitch’s site (early 2016). I relate to you not only as one who taught in Syracuse before your time, but most especially as a little liberal white girl local-Ithacan Cornellian who demonstrated & sat in in the ’60’s in support of the establishment of that Africana Studies program where you studied post-grad! How happy I am to hear that it was still going in the ’90’s and provided a platform for you to write a thesis on the establishment of such programs– and continue as a much-needed activist in this dark day for public education, when privatizers supported by Obama’s own DOE channel $ to charterizers in NOLA & every inner-city hard-hit by globalization, promoting ‘no-excuses’ charters which have little black kids lining up in the halls and wearing uniforms which include ‘no natural hair’ et al cultural-crushing ‘pedagogy’. Many thanks to you, both for your comments and your contributions to the struggle! As you suggest, there is still much work to do, but people are slowly waking up and stepping up to the challenge….